Our goal is to optimize your appearance and dental health with excellence in orthodontic care in a friendly and professional manner. We have the latest technology including digital x-ray, imaging, and computerized records to provide the most innovative and efficient orthodontic treatment for our patients. Smiles and satisfaction are important to us! 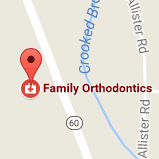 At Family Orthodontics, we focus on 3 key areas. We believe by using cutting-edge technology we can create a first-class experience for you. The customized treatment plan that we develop for you, is unique to you. Every person that comes to us is different, and deserves care that is specific to them and their needs. Lastly, by combining the use of cutting-edge technology in your customized treatment plan, we build an incredible amount of trust with our patients. 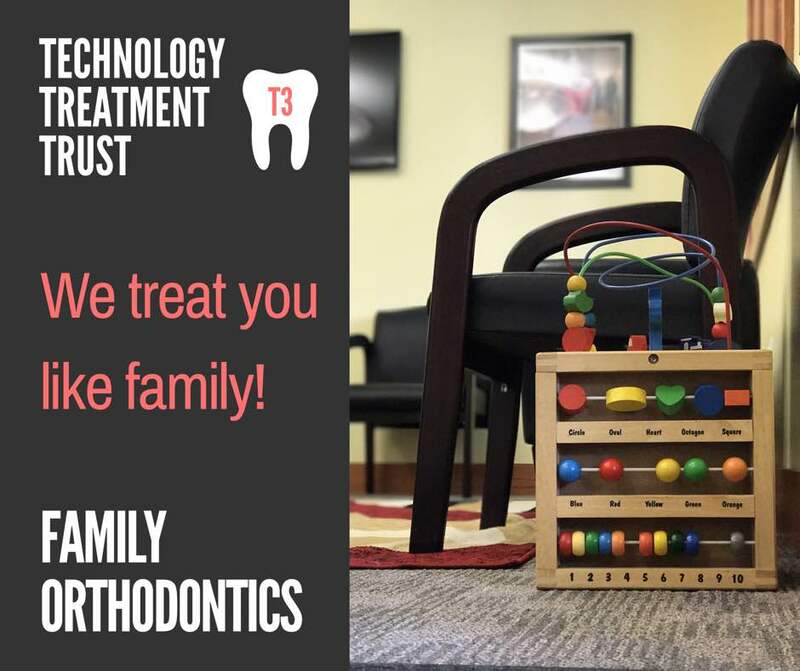 At Family Orthodontics, T3 is the outward expression of our inward vision. It is what we've built our business on from day one, when we started ten years ago. It remains the hallmark of who we are, why we exist, what we believe, and how we do what we do. We consider it an honor to be able to bring that to you. We look forward to meeting you and your family someday soon! -Your friends at #FamilyOrthodontics, where #WeTreatYouLikeFamily.